Staying on Top of Everything that there is to See and Do in the Charleston area! Charleston is great city for a lot of reasons: Outstanding restaurants; Great beaches; Lots of Water; Tremendous History; An emerging Tech industry with Charleston being characterized as "Silicon Harbor"; Nightlife; Friendly people and Great weather. Our intent it to provide a view into all the interesting activities that are possible in Charleston. Whether you a local resident, tourist or considering relocation, this will be a great resource to get tips on activities to make your visits to Charleston and the surrounding areas even more memorable! "In addition to enabling an annual $52 billion Virtual Goods marketplace, the Spatial Web is also giving way to “virtual company headquarters” and completely virtualized companies, where employees can work from home or any place on the planet. But how? Opting for a demonetized virtual model, eXp’s founder Glenn Sanford decided to ditch brick and mortar from the get-go, instead building out an online virtual campus for employees, contractors and thousands of agents. This becomes critically important for spatial information logs — keeping incorruptible records of who’s present at a meeting, which data each person has access to and AI-translated reports of everything discussed and contracts agreed to. As data gets added and linked to any given employee’s office, conference room or security system, we might then access online-merge-offline environments and information through augmented reality. With blockchain-verified digital identities, spatially logged data and virtually manifest information, business logistics take a fraction of the time, operations grow seamless and corporate data will be safer than ever." Charleston has picked up one more “best food city” prize to add to its crowded trophy case. Food & Wine on Friday named Charleston one of “the 10 most exciting cities for food around the world.” The city will be featured in the August issue of the magazine, along with Florence, Hong Kong, London, Los Angeles, New Orleans, New York, Paris, Tokyo and Toronto. This is the first time that Food & Wine has compiled such a list. Over the past year, Charleston’s dining scene has been celebrated by outlets including Conde Nast Traveler, which put the city atop its list of “Best Food Cities in the U.S.” It finished second to New Orleans in Travel + Leisure’s survey, and also appeared on unranked lists of leading food cities created by Zagat, Food Republic and the Travel Channel, as well as earning Southern Living's title for best city overall. The only lists of food-showcase cities from major publications that Charleston hasn’t recently cracked are those which impose criteria related to population size or affordability. To accompany the listing in the magazine, Food & Wine is running a feature on Sean Brock’s favorite restaurants and the heirloom ingredients on their menus. 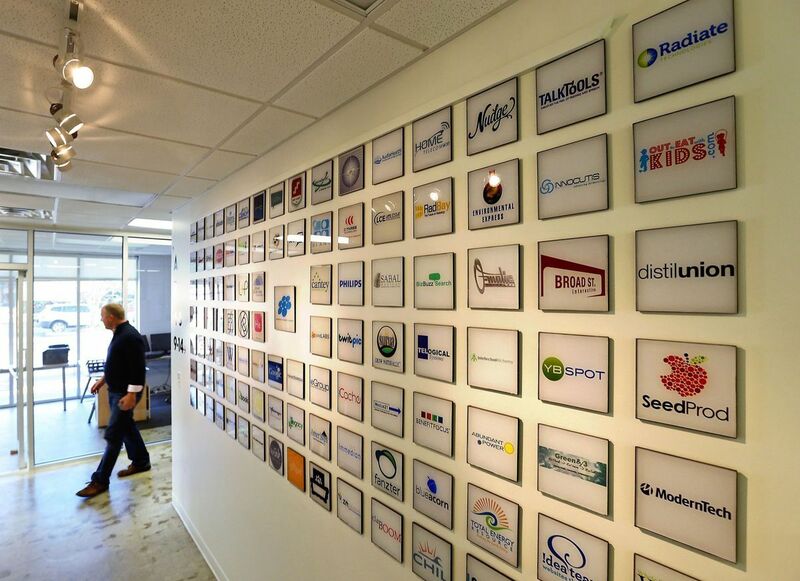 A new study of up-and-coming tech hubs says Charleston is poised to pop. TechNet, a Washington-based innovation advocacy group, says the Lowcountry ranks No. 25 on its "startup economy index." The measure looked at what proportion of job postings in an area used the word "startup." Michael Mandel, the Progressive Policy Institute researcher who came up with the index, says it offers an insight into how many tech companies are hiring. And while not every employer calling itself a startup actually is one, it gives an indication of how locals think about the tech economy. Charleston landed relatively high on the list, on the same tier as cities like Houston, Pittsburgh and Richmond, Va. At the top of the list were traditional tech hubs like San Francisco and Seattle. Linda Moore, chief executive of TechNet, praised the region's colleges, economic-development efforts and quality of life. She said the city has a good mix of big employers such as Blackbaud, Benefitfocus and Booz Allen Hamilton, and a slew of startups angling to match them one day. But like several other cities with nascent tech sectors, she said it still has work to do on helping entrepreneurs find talented workers and funding to pay for their ideas. Much of the policy work that could help ease those shortfalls, she says, is done at the state and local level. Ernest Andrade, director of the tech economic-development initiative Charleston Digital Corridor, cheered the news, calling it "gratifying external validation to what we have accomplished in Charleston over the past 15 years." "The key to accelerating our start-up economy is to further coordinate and align the state, regional and local efforts to tease out additional economic value," Andrade said in an email. Charleston, SC Ranked 27 out of 100 as Best Place to Live! U.S. News analyzed 100 metro areas in the United States to find the best places to live based on quality of life and the job market in each metro area, as well as the value of living there and people's desire to live there. Charleston ranks as #27 with an overall score of 6.8 out of 10. What kind of jobs are there in Charleston, SC? Charleston's tourism industry is booming. The influx of travelers – particularly during the summer months – creates a variety of jobs, especially in the hospitality and service industries. The technology industry is also big in Charleston, and downtown offices continue bustling even in tourism's off-season. The sales, advertising, marketing and art professionals also contribute to Charleston's year-round livelihood. Some of the metro area's largest employers are manufacturing companies, including Boeing and Nucor Steel. The region's unemployment rate is roughly equal to the national average. Downtown Charleston is small, covering just under 8 square miles. Most people drive to get around and, unfortunately, this leads to traffic congestion. Traffic is a particularly large problem in the summer when the region teems with tourists. Public parking is available almost everywhere; however, there are usually high costs or long walks involved. There is no metro rail or subway, but there is a trolley and public bus service offered through Charleston Area Regional Transportation Authority. Biking is also a viable means of transportation, and because the region is very flat, it makes it easier to get somewhere by bike. The Charleston International Airport is only about 12 miles from downtown Charleston. Amtrak trains stop in North Charleston (about 10 miles northwest of downtown), while Greyhound buses stop about halfway between the city center and the airport. Charleston's median age skews slightly older, though the downtown area features large pockets of younger residents, particularly around the College of Charleston. The region also bursts with youth during the summer months, as the service industry hires extra employees to handle the influx of seasonal tourism. Charleston, nicknamed the Holy City, is home to more than 400 places of worship for various religions and different denominations. When it comes to politics, the metro area is pretty evenly split between liberal and conservative views, though Democrats hold a slight majority. Downtown Charleston caters more to millennials and residents without children at home, though there are families who call the region home. Neighboring communities like Mount Pleasant, James Island and Daniel Island are popular among families who need more space without the premium cost. Similar to most metro areas, homelessness remains an issue in Charleston, and the area offers several emergency shelters for these individuals. Speaking of exercise, the town is very active. Outdoor yoga classes are quite popular, as are water sports like surfing, paddle boarding, kayaking and fishing. The surrounding towns – Mount Pleasant, Folly Beach and Isle of the Palms – offer additional outlets for such outdoor activities, too. 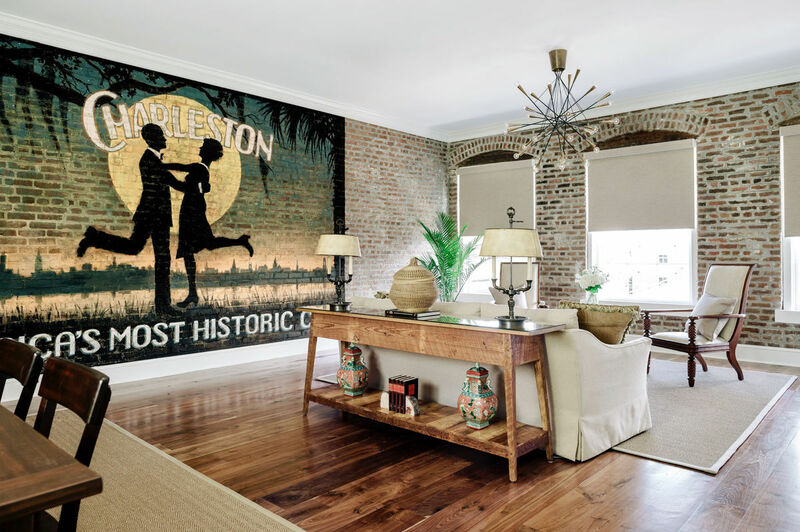 Charleston also has a long, intriguing past, leaving many historic places to tour and visit: Fort Sumter, various plantations and historic homes, Charleston City Market, Charles Towne Landing and the famous Angel Oak Tree are just a few of the must-see places.